Most wallpaper shots we feature on Jalopnik contain cars in their entirety, but this fraction of an Alfa Romeo is pretty mesmerizing on its own. Plus, it looks prettier from this angle anyway. 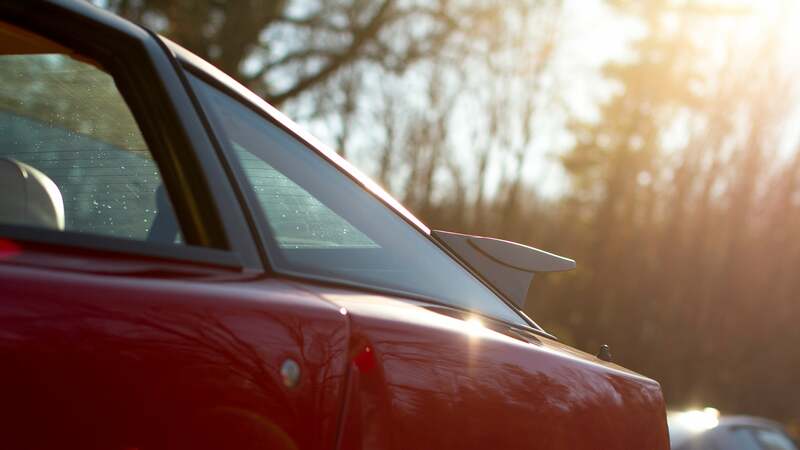 The photo comes from James Grabow and features a 1990 Alfa Romeo SZ. The car, James said, is the same one listed for sale with a $119,500 price tag last year. But after driving the car more, James said “the owner decided he was going to keep it” rather than make the sale. The owner hasn’t driven the car much since, though—apparently, it has less than 2,500 miles on it. As for the the photo itself, it’s artsy enough to make passerby inquire as to what kind of car is on your computer desktop. That, my friends, is an opportunity to tell them all about your love for cars (and your favorite website) until they forget about something they needed to go do and walk away. That happens to me when I talk about pretty much anything, so don’t take it personally. Photo credit: James Grabow. Used with permission. For more photos of his photos, check out his Flickr and Instagram accounts. For a big desktop version, click here.